WESTERN WY – Despite the precipitation and cooler temperatures throughout the region in the past few weeks, fire managers have noted a drying trend in vegetation that makes it more receptive to fire starts and the potential for fire spread. As the Independence Day holiday approaches, visitors and local residents alike are reminded that fireworks are not permitted in Grand Teton National Park, on the Bridger-Teton National Forest, within the National Elk Refuge, or in Sublette and Teton Counties. These fireworks regulations play a critical role in fire prevention during a time of year when vegetation begins drying out and warmer temperatures become more common throughout the Teton Interagency Zone. 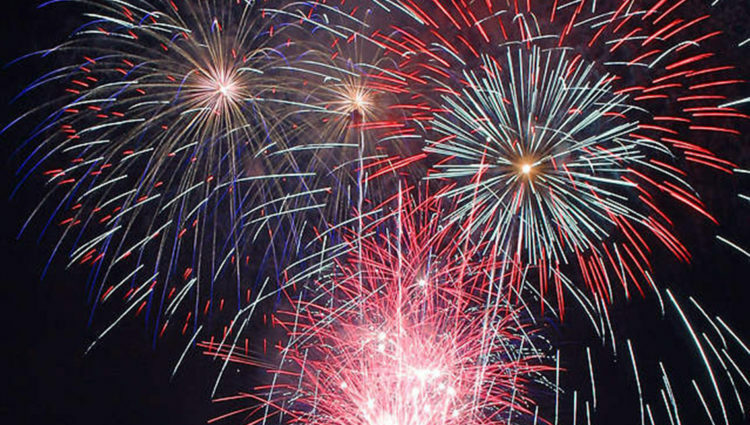 According to the National Fire Protection Association, fireworks start an average of 18,500 fires per year and result in an average of $43 million in direct property damage. A random spark can quickly escalate into a wildfire, especially under dry, windy conditions. Additionally, unattended and abandoned campfires are a common source of unexpected wildfires. Area fire personnel respond annually to over 100 abandoned campfires, which can hold heat for an extended period of time if not properly extinguished. Simply pouring water on the remains of a fire is not sufficient. The charred remains must be repeatedly doused with water and stirred into the campfire ring. All embers and logs, not just those that are still glowing, should be broken up and covered with dirt. Campfire remains must be cold to the touch before the site is vacated.